An incredible value, these climbing holds now come in bright, solid colors and are made with strong, polyurethane resin. 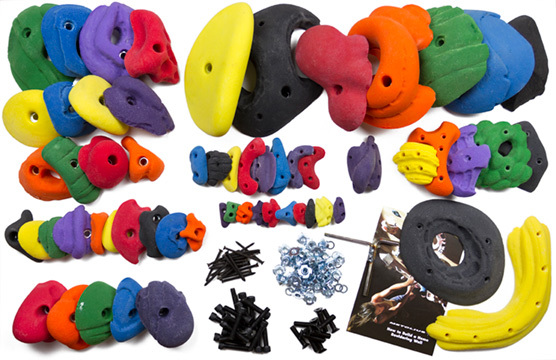 Each Mega Pack Climbing Holds Set contains a random mix of various sizes of footholds, screw-on hand holds, modular holds, mini-jugs, macro or roof jugs and come with all the mounting hardware needed. Mega Packs are the ideal starter kit for your home climbing wall.